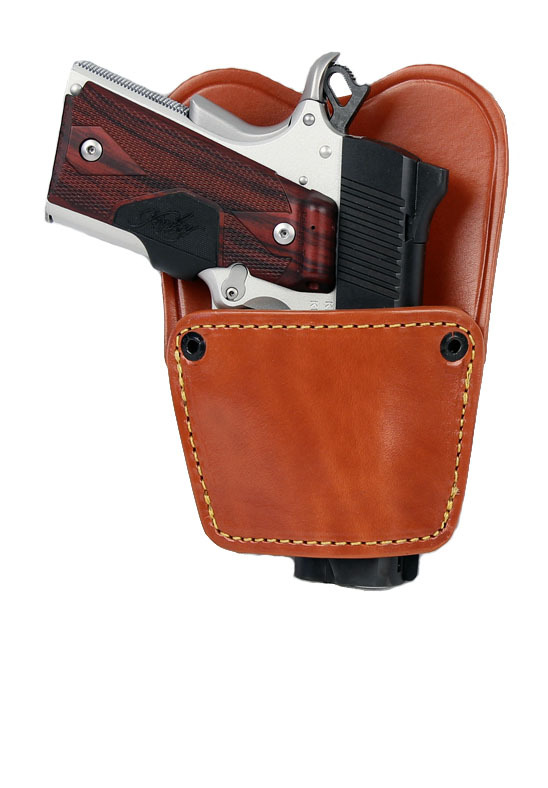 The Gould & Goodrich Ambidextrous Belt Slide Holster offers many of the same features as the Ambi Concealment holster, with an integrated removable body shield. Featuring a durable steel clip as well as belt slot for maximum versatility in attachment. Trigger guard cutout provides stopping point for weapon as well as additional stability and coverage. Constructed from genuine leather with a suede lined interior to protect the gun's finish. Universal holster fits most 1911 and 1911 clones 3, 4, 5" bbl. ; and most small frame auto pistols.